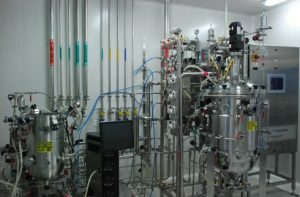 We provide small to large-scale protein expression and purification services in each of or 5 platforms at competitive prices but also more advanced and customized packages in which we test for instance custom recombinant protein expression conditions in several systems in parallel or with extended protein expression conditions in a given system. 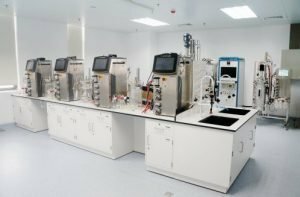 Our services include all the steps from gene synthesis and expression vector construction to pilot protein production in flasks and large-scale protein expression in fermenters and bioreactors. Our High throughput protein expression condition screening is intended to overcome challenges related to solubility, purity, functionality, productivity, refolding or formulation. Such a commitment involves having access to and mastering all existing technologies, processes and tools available. 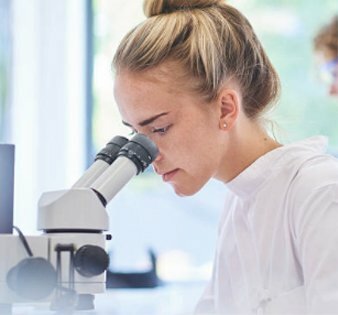 With an extensive experience in the expression of recombinant proteins of any kinds such as antibodies, enzymes, membrane proteins, cytokines, etc., and of any species, ProteoGenix has developed a very complete toolbox to tackle any such challenge and provide best in class protein engineering services. Try guaranteed packages of the most reliable protein production company of its kind. Why Choose ProteoGenix for your Recombinant Protein Production? One-stop solution from gene to protein, process development and large scale production. Consequences: faster service, increased success rate, less administrative work. Productivity of up to 800mg/L in transient expression and 5g/L in stable expression. The cDNA coding for Beta-Glucosidase protein was chemically synthesized after sequence optimization for insect cells expression. It was then subcloned in a proprietary expression vector. A sequence coding for a 6His tag was added for further purification. Figure 1. Analysis of insect cell expression during P1 generation. A protein band matching with Beta-Glucosidase protein molecular weight is observed by SDS-PAGE in native protein extracts. This result is confirmed by Western blot (Figure 1, green arrows). Recombinant bacmid clone No1 was used for expression tests. Figure 2. Protein Expression Tests with P2 stock. Coomassie Blue Staining. Left. Cell type 1.Right. Cell type 2. “-“. Negative control culture. Figure 3. Protein small-scale purification test. Coomassie Blue Staining. IN. Input. FT. Flow through. W1-W3. Washing steps. E1-E9. Eluted fractions. Recombinant Beta-Glucosidase protein can be produced and purified in native conditions. The purity is ≥ 95%, and the production/purification yield is approximately 370mg/L. Baculovirus expression system was a perfect choice for this protein. Which System choose for your Recombinant Protein Production? PROKARYOTIC VS EUKARYOTIC CELLS EXPRESSION SYSTEMS. The table below gives an idea of the advantages of each five different heterologous protein expression systems for production of recombinant proteins from a general standpoint. Of course features can vary from one protein to another. The more arrows there are, the better it is. Small scale expression and purification evaluation with many expression conditions tested. The most commonly used system of recombinant protein purification is E. coli. Indeed, it is the simplest, fastest and most cost effective system for custom expression of a protein. Bacterial cultures grow much faster than insect cells, mammalian cells or yeast. It is therefore easier and quicker to test a large number of different conditions. More solutions are also available for testing and allow therefore a higher success rate in expressing recombinant proteins. Transient expression yields of recombinant protein are also generally much higher than in yeast, baculovirus / insect cells or mammalian cells. Production of recombinant proteins in E. coli (Escherichia Coli) is often a preferred solution proposed by ProteoGenix when the final application requires large quantities of proteins such as crystallography and nuclear magnetic resonance (NMR) and no Post-Translational Modifications (PTM) are required. However, the main drawbacks of E. coli system are the high amounts of endotoxins remaining in the final sample and the lack of Post-Translational modifications. It is possible to remove endotoxin but it isn’t convenient at industrial stage whereas there is not much to be done to solve PTM problems apart from using a different expression system. With these five systems, we are able to meet the requirements of a large number protein synthesis order and we therefore have a success rate of over 95% in recombinant protein synthesis. We are constantly working on integrating new systems and solutions to provide the best level of service for anyone who needs to buy recombinant protein production services with high quality standards. If you have any doubt on which system to choose from, as a leading protein production manufacturer we guide you from gene to protein to define the optimal strategy considering your time, budget and protein features required. Our recombinant protein production laboratories are organized in several platforms and supporting labs to ensure the best quality of service, the highest purity of product, the lowest risk of contamination whatsoever and the best organization for a fast and reliable service. We have a platform for each of our five systems and a separate quality control lab, molecular biology lab, packing lab… Each platform is managed by experienced team leaders that ensure to delivers proteins that correspond to initial customer’s specifications. After more than 1500 proteins produced today and teams specialized in each system, our expertise has no equivalent for each of these systems. ProteoGenix recombinant proteins are used in wide spectrum of applications and our customers usually involved in Life sciences, include Pharma companies, Diagnostics, Biotech, Agri-Food Industry, Crop science, New energies, Cosmetics, National Research Laboratories, etc.